Would you like to donate your old Table Tennis bat, blade, used rubbers, or table to the club ? We all have some some equipment gathering dust in cupboard, why dont you donate to the club, we will recycle them put your old rubber and use it during session, give it young players or helping to local schools and community centres. Please bring it to the club and give it Sanket. 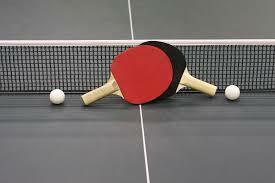 Donate your Old tables to the club, we provide wide range of table tennis activity in local schools, community centres, day centres or Old age homes. We can set up your table there and I am sure many people will take adavange of your table.